Are you spicy? Harissa is a red chili pepper paste that can be mild or hot. 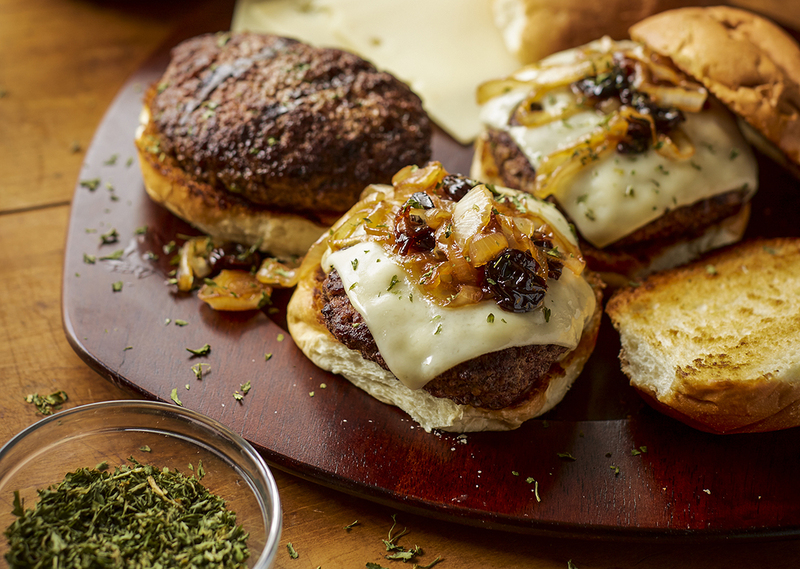 Choose your preference for this sweet onion-topped burger. Preheat George Foreman grill by plugging it in, or setting it to MAX, 400°F or setting 4. In a small saucepan, melt butter over medium heat. Add cherries, apple cider vinegar, lemon juice, brown sugar and onions. Stir occasionally until bubbling. Continue to cook until onions are soft, about 5-6 minutes. Meanwhile, in a large bowl, add harissa and ground beef and stir to combine. Season with onion and garlic powder, salt and pepper. Form into 6 patties, place on preheated grill and close lid. Note: If grilling on Indoor/Outdoor grill, grill for 4-6 minutes per side. 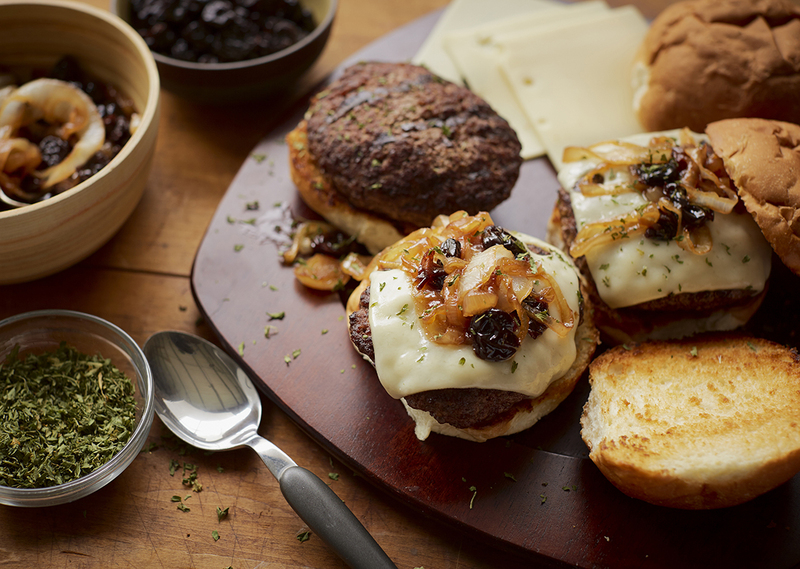 Place burger on bun and top each with cherry sauce and top bun. Serve immediately.